25'' high 4 fold fire screen in a matt black finish. 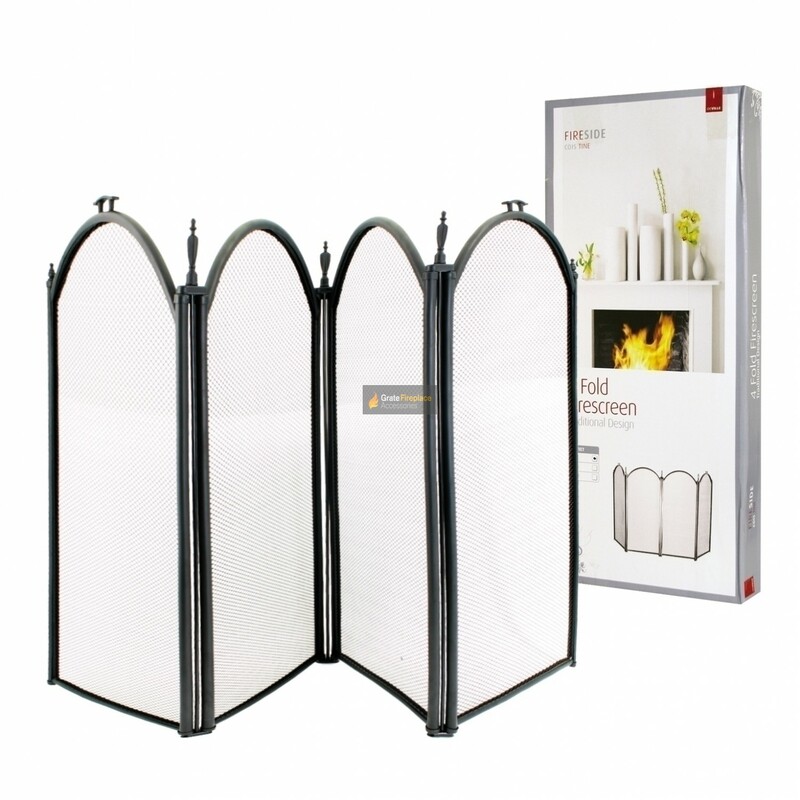 This black fire screen stands a proud 25'' high and is separated into four identical sections all measuring 13'' in width each. The fine mesh between each section is designed specifically to keep flying embers and ash off the hearth area.